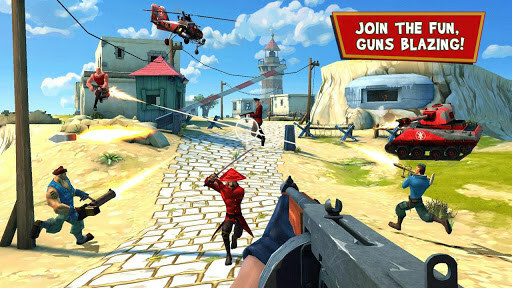 Blitz Brigade – Games for Android 2018 – Free download. 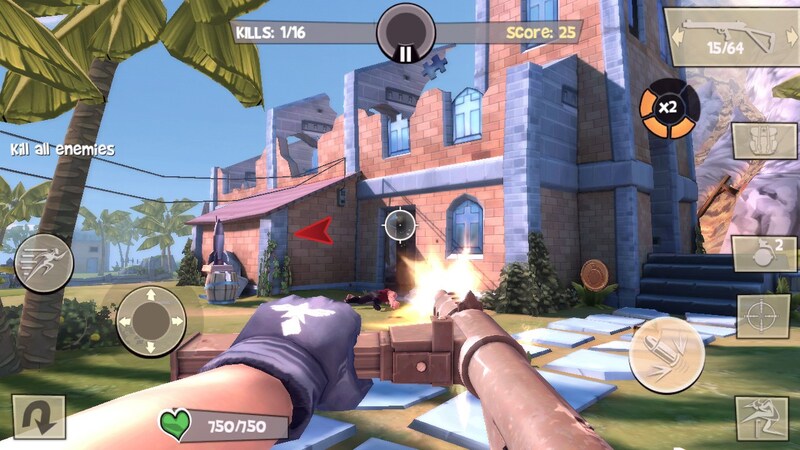 Blitz Brigade – Colorful online FPS. 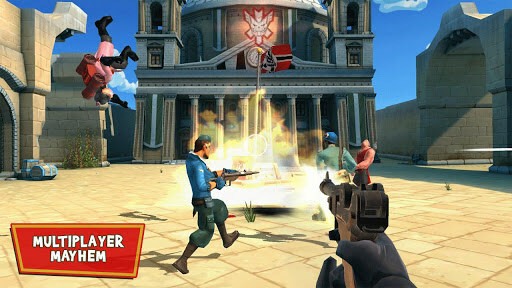 Blitz Brigade - it's very bright and high-quality online action with the first person to Android, in which we will participate in the battles between the two armies, one of which is reminiscent of the Nazis (red) and the other - the American troops 50s. The entire game is made in a bright cartoon style. Many are guaranteed to remember about a very successful and free online shooter from Valve called Team Fortress (for PC). Yes, the game is most like it was his, and it is very good, as in the Android space shooter like still remains free. 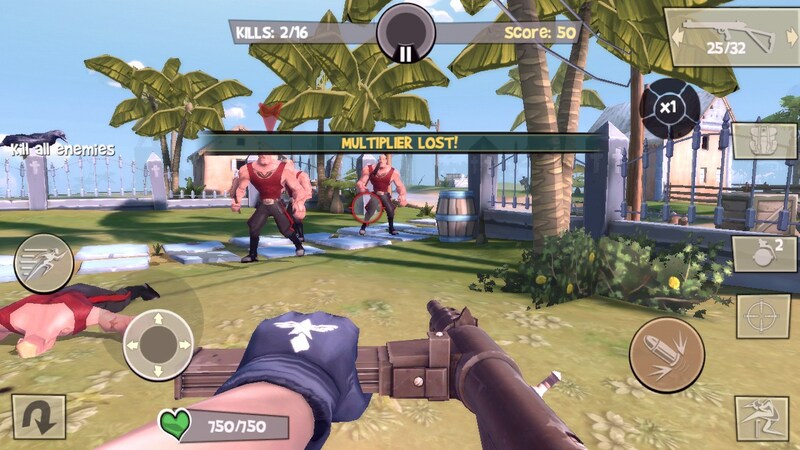 But the game also reminds online shooter Battlefield Heroes from the studio EA Games, which was popular a few years ago, but in consequence of the project ceased to grow. In general, the new game is trying to be like the aforementioned game, and it's a good idea, especially as the game develops digging Gameloft, the game which is always something to remind and copy, they are in this wizard. 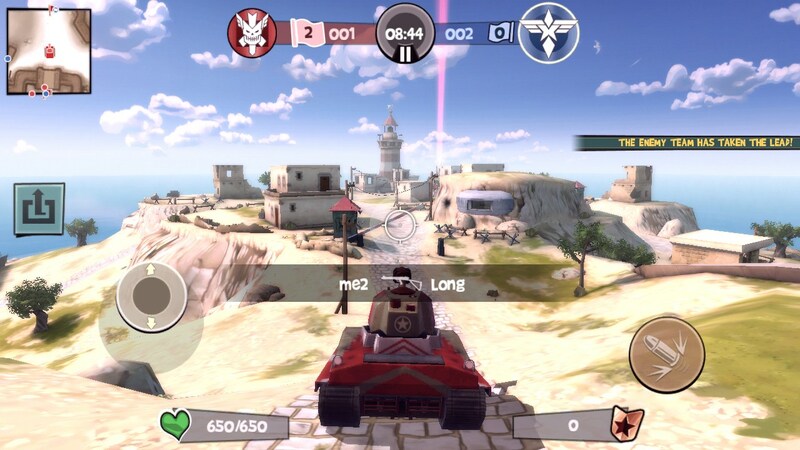 The game is designed for up to 12 people online, and with so many people playing copes quite well, but it will take a very good Wi-Fi connection, the usual 3G here just can not cope. Textures in the Blitz Brigade is very interesting, the game looks no worse than their PC-counterparts, especially if you do not look into the details. The game will take on your memory card, 1.2 GB of free space. Control of the game by using the buttons and the accelerometer. On the right is a virtual joystick for movement and the left - button to fire. Aim of the game can be like driving with your finger on the screen and moving your body in space. There is also a small avtopritselivanie: how to game consoles icon sight for a while attached to the enemy. The game has 5 different classes, each of which has its own stock of health, appearance, and weapon set. Even in the game there is a technique which can control any player. All payment goes to the team, although in practice this is rarely achieved, maps, more players a little, and all the running around to different places. Be sure to recommend to pay attention to the single player missions, which are taken as a supplement, but it looks very nice, and it really earn a lot of experience and money that can be spent on purchasing new weapons. Convenient control and the presence of gestures. 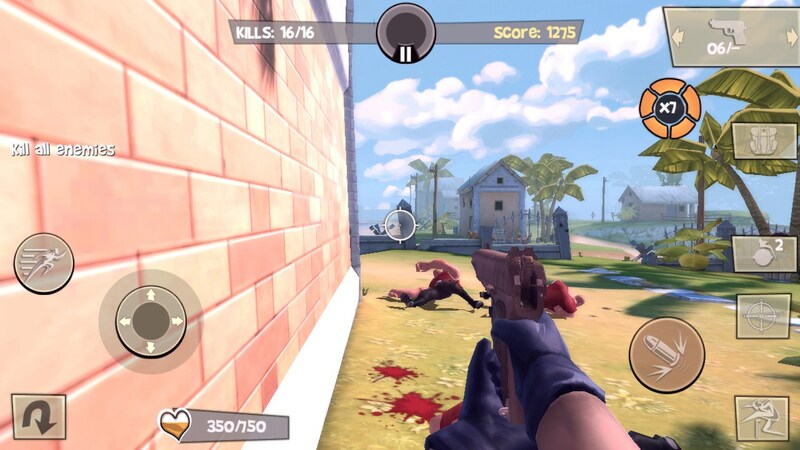 The disadvantages of the game can be attributed fairly strong braking and unstable operation of the server, as well as a large number of pop-up messages during the game that distract from the process. Naturally, the game has all the attributes Free2Play from Gameloft: better things, weapons and clothing is available only for real money. Summary. 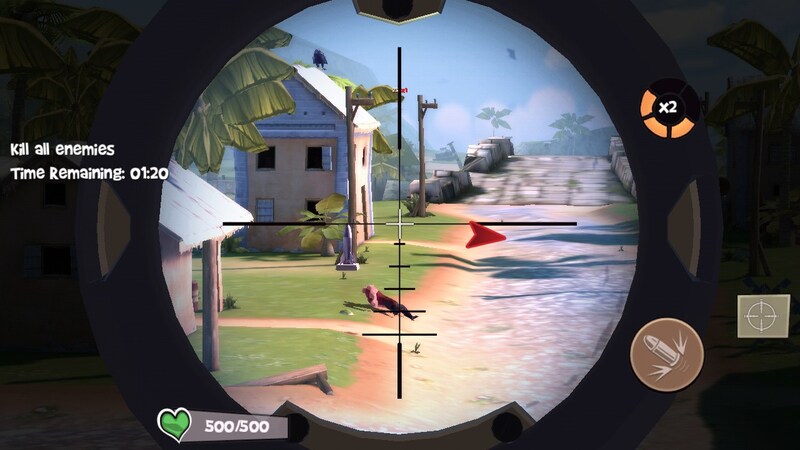 Blitz Brigade - a promising online shooter for Android, which definitely will take its place and will not be less popular than Shadowgun: Deadzone. One can only hope that the game will be regularly updated and maintained by developers. Just click on the download link. Are you having an issue with app compatibility or something else? I have a Samsung 10.1 with 4.2.2 operating system. The latest update says it's not compatible with this system and will not allow us to update or continue playing on the previous version. I've tried contacting Gameloft, but they don't answer. Did you have this app downloaded previously to this device? Firstly please always mention your device model and OS version when requesting assistance as it keeps the information provided as accurate as possible. Secondly, in order to download the app simply click the "Free Version" link found above the review and it will direct you to the appropriate Google Play page. There make sure you are logged in with the same Google account on both your PC and your Android device before clicking the "Install" button. A new pop-up should appear allowing you to select your device and if no issues occur initiate a remote installation. Alternatively you can scan or input the QR code (Also found above the review) into your Android device and it will direct you to the download page. Please let me know if you require more assistance. Secondly, you can use the "Free Version" link provided above the review and it will redirect you to the appropriate Play Store Page from where you can install the app. Make sure you are logged in with the same Google Account on both your PC and your device before initiating a remote installation. Alternatively you can scan or input the QR code, also provided above the review, into your device and it will redirect you to the appropriate Google Play page to download. Another option is to open the Play Store and search for the app you wish to install. Click on the button labeled "Free", by a brief description. Mario finally makes it to mobile! Can you push it? Can you pop it?